Whether you want a tattoo to show your love of the water or a tattoo to show your faith in regeneration, starfish tattoos can give you exactly what you need. While not every tattoo needs to have a symbol or meaning behind it, many do and the starfish tattoo is no different. The starfish is a symbol many people use to remind them of various things. If a starfish loses a limb, it grows another. This makes the starfish the perfect symbol of regeneration and healing. If you have healed or are healing physically or mentally from a trauma, a starfish tattoo can be a personal reminder of what you have been through and the strength that took you through it. If this is the case, consider using a starfish design in various stages of regrowth to show the journey. In the Christian faith, the starfish is the symbol for the Virgin Mary. If you are looking for a quiet way to show your faith publicly, a starfish tattoo can be one way to do so. There are many ways to incorporate a starfish tattoo design into your body art. Whether the starfish stands alone or is part of a greater scene, consider any of these designs as a source of inspiration. If you like the idea of star tattoos, but want something a little different, substitute any star design for a starfish tattoo design instead. This may mean a stand-alone starfish in a whimsical color like purple or blue, a grouping or cluster of starfish over the neck or wrist. 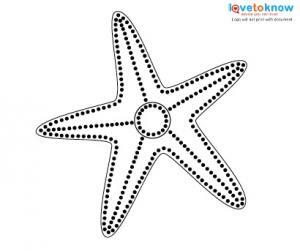 In this case, a highly stylized or almost cartoon appearance to the starfish will help complete the look. If you have a passion for marine life, complete a seascape with the inclusion of a starfish or two. This can mean a starfish washed up on the shore, lying at the bottom of a seaweed covered ocean floor, or simply part of a grouping of other water tattoos like fish, seahorses or nautical stars. If the starfish has a personal meaning for you, consider a starfish tattoo that pays close attention to the actual starfish. Include the appearance of texture, curving arms or any subtle details that may be found in starfish washed up on the beach. No two starfish are ever quite the same in nature; use one as your inspiration to get a truly life-like rendition of a starfish for your tattoo. The starfish's body and the way its limbs frequently curve is the perfect start for a tribal tattoo. Talk to a tattoo artist about further emphasizing and stylizing the curve or motion of the arms into a tribal tattoo. 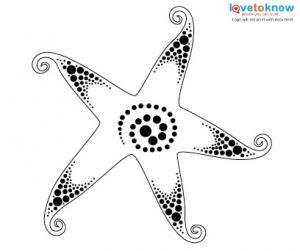 Done in black ink with some subtle starfish details, a tribal starfish can be eye-catching. Starfish can be captured alone or in a group, large or small, which makes this image perfect for nearly anywhere on the body. 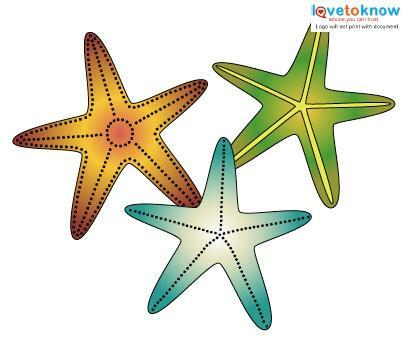 Tattoo a small starfish onto the wrist or back of the neck, or enlarge the image for an arm or leg. Cover the back with a large seascape or have a small, guiding starfish peeking out from behind the ear. No matter where you choose to display it, a starfish tattoo is sure to get the attention it deserves.